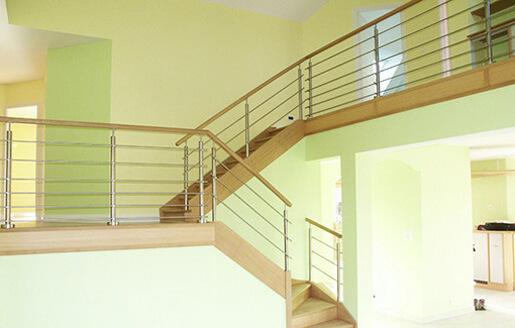 A selection of timber and hardwood handrails available in a variety of different timbers and finishes. Designed to provide a warm, soft touch. 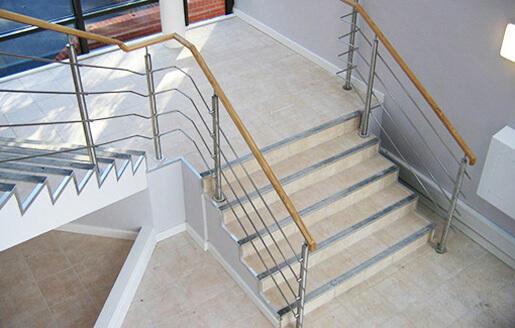 Our handrails fit perfectly with the rest of our modular balustrade range. 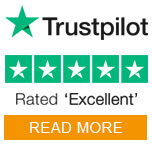 All our timber handrails are produced from environmentally-friendly FSC certified wood. A range of naturally produced wooden banister handrails in a variety of finishes. 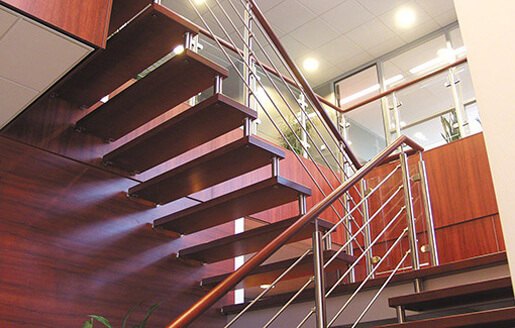 These timber rails can be used in conjunction with our range of specifically designed stainless steel handrail fittings. Ready to install, pre-built Wooden Handrails made from lacquered beech. Modular Fixings for use with our hardwood handrails. Ready to install stainless steel Square Banister Handrails. Ready to install Stainless Steel Flat Handrails. 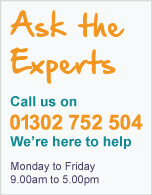 These ranges are readily available, please contact us for further information.